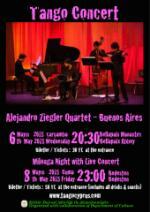 8th International Cyprus Tango Festival; organized in collaboration with the Tango Cyprus Culture and Arts Association and Ministry of Culture, is being held between 6th-9th May 2015. The festival that host world standard dancers every year will be welcoming the Argentinian Alejandro Ziegler Tango Quartet, that has been on tour for the past 7 years and performed more than 300 concerts in 134 cities, caused a huge excitement among music and tango lovers. 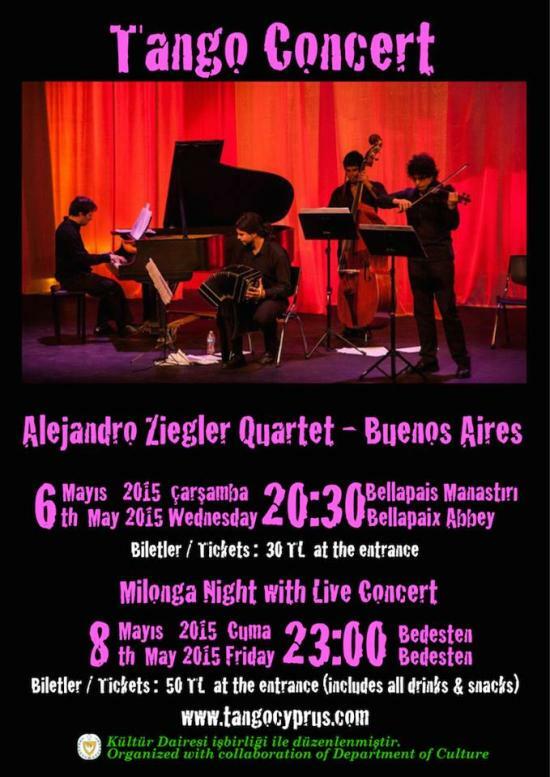 Besides a concert, Alejandro Ziegler Quartet will also be giving a seminar titled ‘Music and Musicality in Tango’ throughout the festival. During the Alejandro Ziegler Quartet concert, Argentinian Tango dancers Adrian Leo Lopez and his partner Christina Neo will also be giving a short tango performance. TangoCyprus Culture and Arts Association stated that all the information related to the festival could be obtained from www.tangocyprus.com. For reservation and further information, please call 0533 880 1888.